Tis the season of giving and the perfect time to launch a benefit campaign that links your brand to a good cause. Better yet, kick-off a campaign that starts during the holidays that your business can carry on all year as part of your overall marketing plans for your product or service. How or where do you begin? What are the unique or time proven ways to launch a benefit campaign that is not only seasonal, but reflects the authentic message of your product or service? “Toys for Tots” perhaps one of the San Francisco Bay Areas most famous toy drives that worked like a charm because it made the distribution point, a Fire Station. This was a clever partnership between a media station ( a bit analog, we know) and the handsome Fireman (and women) who engage with the local community each day. Lesson: Find a great partner and point of distribution. Offer a fundraising product or service. Offer your clients a week of giving back by using a specific product or service that generates funding for your chosen cause. Purchase fundraising products to distrbute to clients and customers as a feel good reward for their patronage. Engage clients and customers directly with a challenge to join you in raising money for a cause that is an authentic concern for you and your business. Partner with a charity directly to promote both fundraising and your business in a seasonal effort that will last all year. There are many ways you can use both a benefit company, product or service to jump-in to this season of giving. 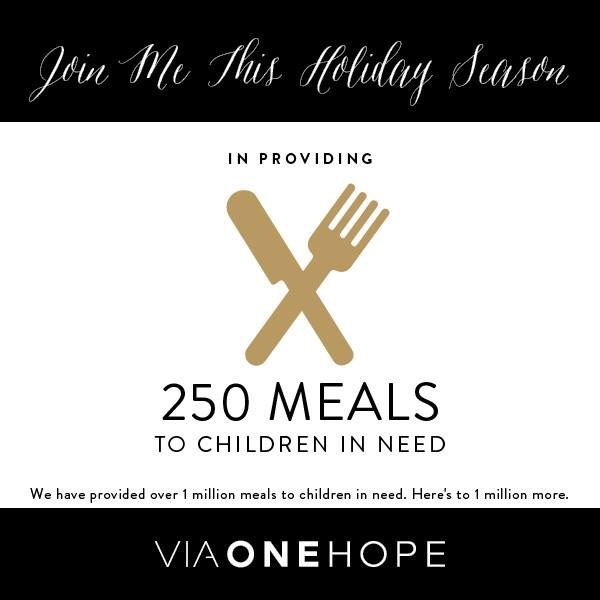 We love how Bono has partnered with our favorite notebooks, or with the wine or bubbles at VIA ONE HOPE winery to support worldwide causes. We also love the Kaleidoskope website (full disclosure, we were co-founders) that supports a charity of your choice when you join our travel clubs. Jewelry designer Kendra Scott has offered a beautiful necklace to support 100 percent of a charity of your choice upon check-out. Her emphasis on charity partners is an integral part of her business. She and many other businesses have realized that giving back is good business. We wish you a merry holiday season of giving back while you gift your clients and customers this year. Editor’s note: The small print: We represent both Kaleidoskope Travel, and VIA ONE HOPE wines as clients, so we can’t help but brag. We will be happy to send you a list of our favorite charity products, services and causes by request many of whom we recommend but do not represent.